A variety of design,Looks Simple,Generosity,lovely and fashion. Can put lunch box, fruit, vacuum bottle etc. Inside with durable aluminum insulation lining, Keep cold food (or warm). Flat bottom keeps it upright, ideal for bottles or dishes that you do not want to stall. 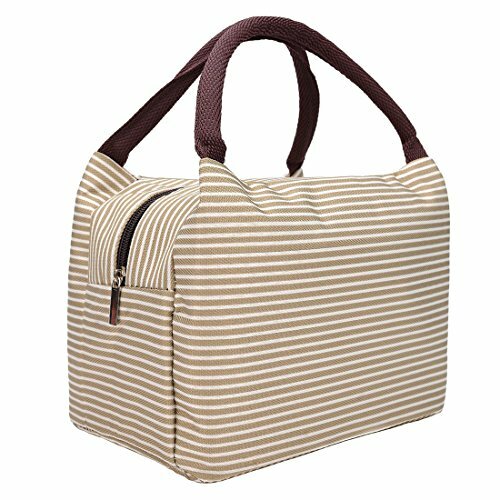 Multi-purpose bag, can be used as a baby bag, make-up bag, beach bag and more! Perfect for daily, work, school, picnic, trip, outdoor activities, to hold snacks, beverage, fruit, lunch, ect. Adorable and small but holds a lot!